It is our pleasure to welcome you to Skin The Day Spa Inc. and to our website. Our Goal is to provide you with excellent skin care, body care, and spa treatments as well as superior customer service. It is important that each of our guests feel welcome. Men and women of diverse backgrounds are welcomed to an environment that is friendly, inviting, relaxing, and without pretense. 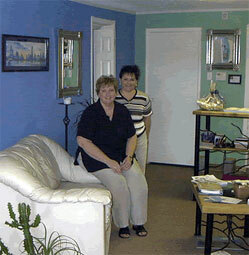 Our team of professionals has your comfort and care in mind. We strive to help you identify your particular needs or wishes, and then focus on fulfilling them. Be nurtured in body, mind, and spirit. When you walk through our front door, time stops. The soothing music, colors, and lighting in our treatment rooms lead you toward relaxation, and then our spa treatments take you there. Skin The Day Spa Inc. is dedicated to helping you shed your physical and emotional fatigue and leave feeling rejuvenated and renewed. Each appointment is reserved for you. A 48 hours notice is required for cancellations or rescheduling. A $50.00 fee will be charged for failure to cancel within an appropriate time. We will ask for a major credit card to hold reservations for 2 or more hours of services. A deposit on half of the total amount will be charged to your account, the remaining amount will be charged at the time services are rendered. All deposits are non-refundable. Holidays such as Valentine’s Day will require full payment at the time reservations are made. Thanks for your understanding.